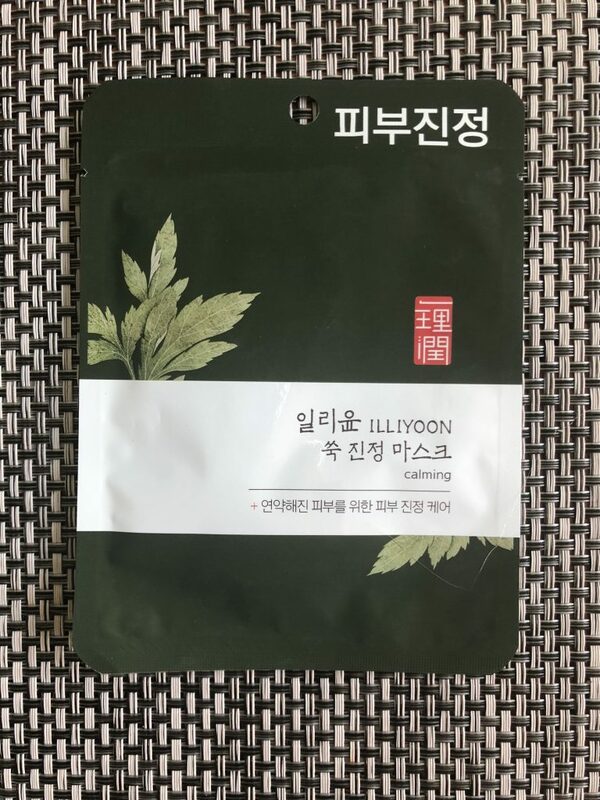 ILLI Mugwort Calming Mask is one of those masks that is promising a lot and delivers very little. Unfortunately this is not my favorite neither it will ever be in my daily routine use. 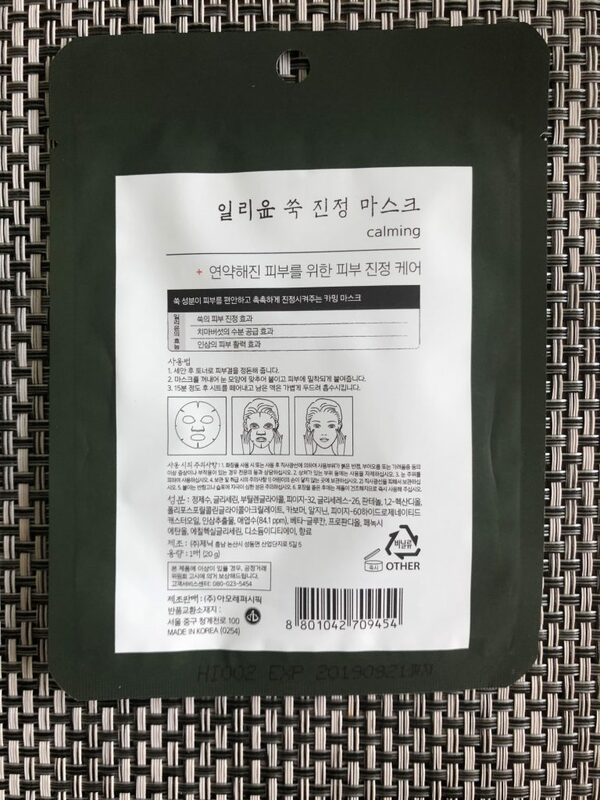 I received this mask as a part of mask box subscription. Unfortunately I can not translate the list from Korean from the pack. The only source that I could find stating the ingredients is a CosDNA page. I do not know how accurate the list is so I will not state any ingredient-related pros and cons below in the summary. I’ve reviewed other ILLI or ILLIYOON masks in the past and, very unfortunately, it all comes to the same thing. To me the negatives overweigh the positives of this product. The mask has a nice easy to open packaging and that’s about it. The scent is very herbal and vaguely reminds of celery and rosemary mixture. Essence does smell like mugwort but has also something extra added to it. The biggest downfalls with these masks, as with others from this brand; there is NO description in English. No ingredients available in English on the pack itself nor online. Being a creature from Amore Pacific Corp. you would expect a bit more international approach when it comes to the brands. Unfortunately they like to keep the international customer in the dark. Maybe there is a reason for it…. 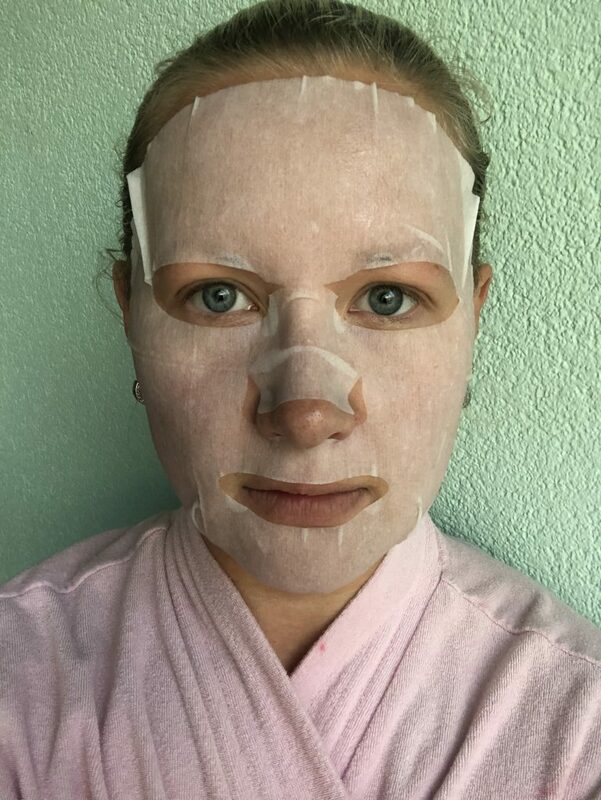 The sheet of this mask is on a thinner side. It is also somewhat rough on my skin. The fit of the sheet together with the adherence of it are both extremely bad. In case of this mask I need to lay. down for the entire wear time as it just comes off my face when I breathe. I did keep it on my face for 15 minutes and felt like that was already too long. All because the upper part of the sheet was almost dry. I am not sure whether it is due to the possibly vertical storage of this particular mask in the store or the presence of too much air in the packet too much air in the sachet. The fact remained the same. I had to put the sheet mask back into the packaging and push the serum around. I also applied whatever essence was left onto my face and only then slapped the mask on for the 2nd time. The essence in this mask is hydrating enough. Due to the fact that the ingredients are unknown I can not tell you whether they are natural or there is something in it that you should keep away from your face. 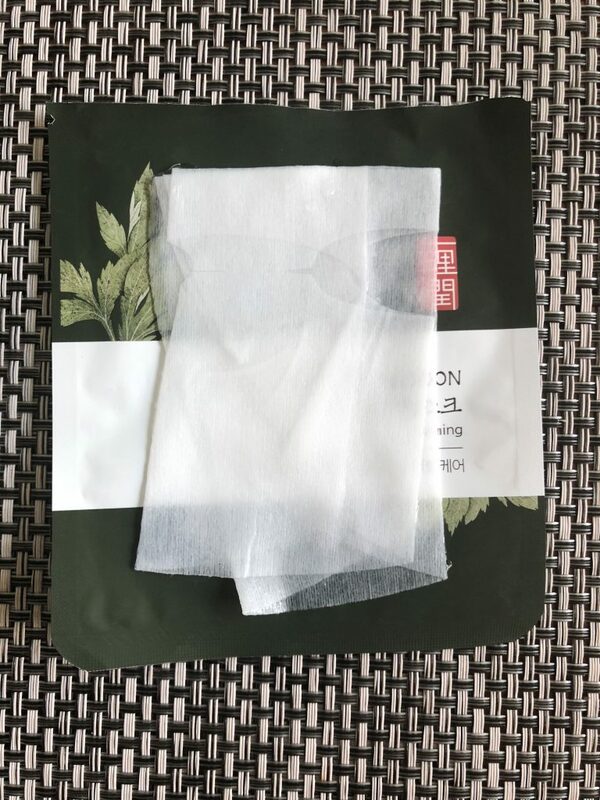 The mask did very little in terms of reducing the redness even though the active ingredient (Mugwort) is very famous for being a very powerful skin vitalizing and purifying ingredient. I do feel that there is too much hassle with this particular mask which made me not want to look any further into this brand. I now have tried the Lotus, Camellia and a Mugwort versions to give it a fair try and they all feel and apply the same. 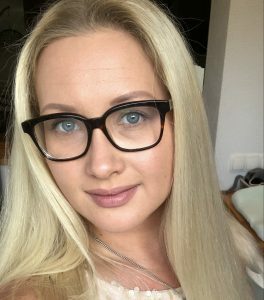 The only virtual difference in terms of the essence was that the Camellia one contained more oil in it and was more nourishing and balancing on my skin. I will not repurchase these masks nor purchase new ones from ILLY.